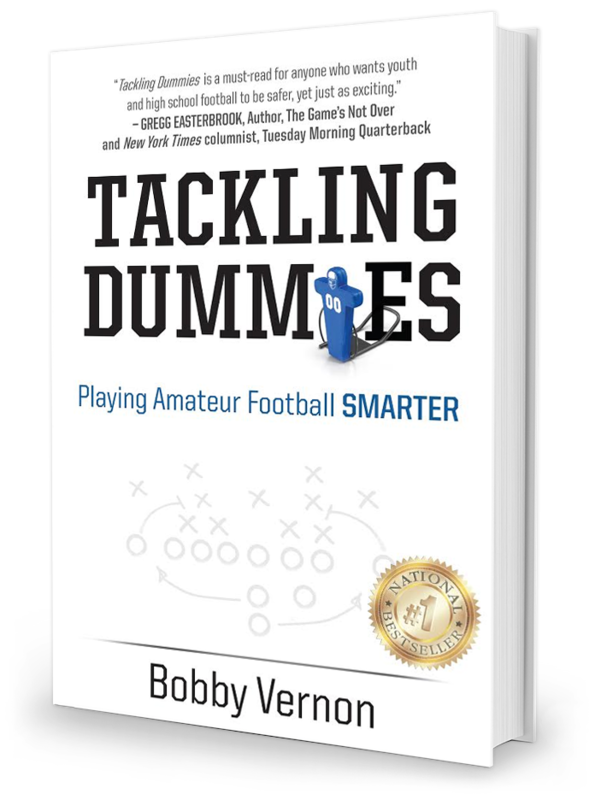 Tackling Dummies, written by a successful businessman, former player, and high school coach, offers an objective and insiders look at the sport and culture of amateur football. It identifies key problems with the game and provides easy-to-understand solutions which will help both players and coaches perform better, play safer, and have more fun. For decades, we’ve been teaching our kids to start playing tackle football earlier, hit harder, practice longer, and play like the pros. What if our current thinking about football coaching and culture was all wrong? Pee Wee League players are getting paid to play football. Football conditioning is a year-round endeavor. Our kids are sustaining traumatic brain injuries (TBI’s) before they reach high school. And, worst of all, many young football players are sacrificing everything to make it into the NFL history books…an almost impossible goal that isn’t all it’s cracked up to be. No wonder they’re not having any fun anymore. With real football stories from a number of amateur fields at all levels, concussion treatment and prevention protocols, descriptions and photos of safer and more effective tackling techniques, football tactics, and honest insights into college and NFL “careers”, this book is a must-have for any football fan, player, coach, or parent.